Blackened rubble is all that is left of Abskharon Suleiman’s appliance store in the northern Egyptian village of Sharbat. Suleiman is a Coptic Christian, and his upstairs apartment, as well as his children’s homes and shops, were gutted and looted in an attack last month by young Muslim men. 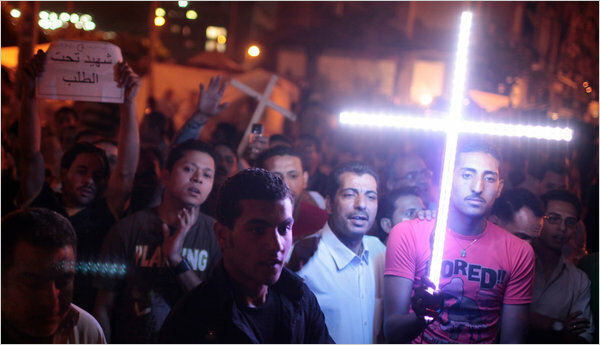 In Egypt, growing tensions between Muslims and Christians have led to sporadic violence. Many Egyptians blame the interreligious strife on hooligans taking advantage of absent or weak security forces. Others believe it’s because of a deep-seated mistrust between Muslims and the minority Christian community. 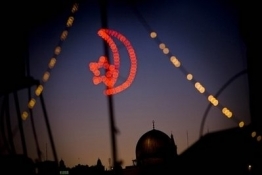 The incident in the rural community of Sharbat started as most interreligious clashes in Egypt do — with a rumor of an illicit liaison between members of different religious sects. In this case, it was about a Coptic Christian man and Muslim woman, each of them married to someone else, explains Muslim merchant Magdy Abu Sheashaa. He claims the man had suggestive photos of the woman on his phone, though neither he nor anyone else interviewed actually saw the pictures. The rumor was enough to send a frenzied mob to the alleged offender’s house on Jan. 27. That building was near Suleiman’s property. Abu Sheashaa says Suleiman’s grown sons fired handguns into the air to try to disperse the crowd. The mob then shouted insults at the Coptic family and demanded they leave the village where they had lived for two decades. “They threw rocks through the windows and set our building on fire. I was sure we were going to die,” says Um Suleiman, the elderly wife of the merchant. 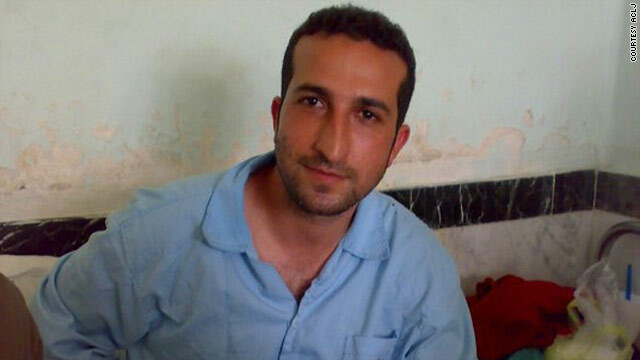 Washington (CNN) – Pastor Youcef Nadarkhani, an Iranian Christian charged with leaving Islam, has received a local trial courts final verdict, according to sources close to his legal team, and may now be executed for leaving Islam. Jodran Sekulow, executive director of the American Center for Law and Justice, said he was informed on Monday by the pastor’s legal team that the final execution order had been issued. At this point, said Sekulow, the pastor could be executed without the legal team’s knowledge. The White House issued a pointed statement on Thursday, strongly condemning the reports and renewed calls for Iranian authorities to release the pastor. The anti-Muslim base in America is no stranger to promoting misinformation about Islam, Muslims and even President Obama. 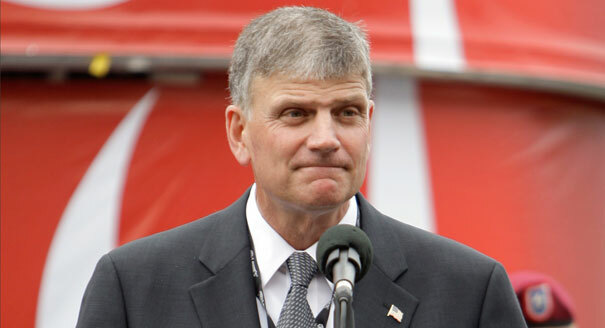 During Franklin Graham’s Feb. 21 “Morning Joe” appearance, nothing changed. Graham reiterated the oft-repeated claim that Muslims are persecuting Christians because “Under shariah law, a Muslim can take a Christian’s property without restriction and subject Christian women against their will.” Mind you, no evidence or references are offered to support such a claim, but for those who prefer clear evidence to the contrary, here it is: The Quran is the first and only religious scripture that commands its adherents — Muslims — to protect churches, synagogues and temples from attack and to do so in preference to protecting mosques (22:40-41). Accordingly, in a letter to St. Catherine’s Monastery in Sinai, Prophet Muhammad gave his written oath that Muslims must protect Christian churches and properties until the end of time. He added that should anyone take anything belonging to a Christian, he would break his covenant with God and Prophet Muhammad. Under sharia (Islamic law), taking another’s property — regardless of the other person’s faith — is theft, a violation of the other’s rights and honor, and severely punishable. Perhaps unintentionally, Yusuf Islam – the Londoner born Steven Demetre Georgiou – has a style matching the amalgam of cultures he represents. He’s wearing jeans, one of his own Cat Stevens – Peace Train T-shirts and a sheepskin and leather jacket. He’s sporting the same beard he’s had since the late 1970s, though there are a few more grey hairs now, and his iPhone sitting on the table in front of him quietly rings with a call to prayer alarm mid-interview. He’s slim, no taller than 5ft 8in, and speaks with a proper London accent, interspersing common idioms such as “innit” into conversation. The multi-platinum-selling singer, who relocated to Dubai several years ago, has both the wisdom of a man nearing his mid-60s and the humour of a young boy. In his early 20s, he flirted with several religions to find contentment. He famously discovered Islam before 30 and subsequently gave up music. He took his first gradual steps back in the mid-1990s, producing spiritual music. Six years ago, he released An Other Cup, his first western-style album since the long break. Now he is pursuing more ambitious, culturally inclusive and entertaining projects. He’s ramping up to a comeback and is finally at peace with all that has happened, embracing his pre-conversion achievements and merging them with new material on live stages. Both a Christian monastery and a peace school in Jerusalem set up to improve ties between Arab and Jewish children were targets of extremists who wrote hate speech on the facilities’ walls in separate incidents last week, calling for the death of Christians and a “holocaust” for Arabs. “Death to Christians” was written at a Jerusalem Christian monastery, an 11th-century holy site situated in a valley overlooking the Israeli parliament, while “Death to Arabs” and “Shoah [Holocaust] for the Arabs” was spray painted at a bilingual children’s school. Police are still investigating to determine whether the attacks were carried out by the same group of people, but all evidence points to Jewish extremists. “Kahane was right” was another inscription found on the walls at the school, U.K. publication the Independent reported. The inscription is reportedly a reference to an ultra-right wing rabbi whose movement, Kach, was barred from contesting Israeli elections in 1988 and listed by the US State Department as a terrorist organization in 2002. 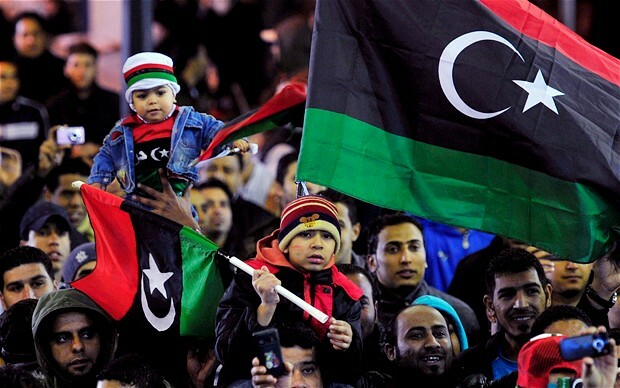 ENInews–In Tripoli, fireworks were ignited, guns fired in the air and chants sounded on 17 February in celebrations marking the first anniversary of the Libyan uprising that ended Colonel Moammar Gadhafi’s 42-year rule. But amid the fanfare, Christian leaders emphasized the need for comprehensive reconciliation and sustained peace efforts to end instability in the North African country. “The people seem much happier as from last October (when Gadhafi was captured). They are more spontaneous, happy and relieved. They are joyful, not withstanding the security situations they are facing, but we still have to keep praying and stressing peace and reconciliation,” the Rev. Daniel Farrugia, the vicar general of the Vicariate of Tripoli, told ENInews in a telephone interview. The first major uprising against Gadhafi’s rule started in the town of Benghazi in February last year. The revolt later spread to other parts of the country with the NATO Alliance joining to back rebel fighters grouped under the National Transitional Council. The alliance conducted airstrikes to implement a U.N.-sanctioned no-fly zone and protect civilians. The action was approved by the U.N. Security Council after Gadhafi’s forces attacked civilians protesting his brutal rule. With the death of the leader on 20 October, global Christian leaders had raised concerns that an Islamist takeover would badly affect Christianity as it had been witnessed in other North African countries and the Middle East. But Farrugia explained that the Church had survived the war and continues with its work and mission. “It was not very much affected and its members are now returning, especially the Filipinos and African. But the families are yet to return,” he said. KUALA LUMPUR, Malaysia — Authorities here said they will likely repatriate a Saudi Arabian writer who fled Saudi Arabiaamid calls for him to be executed after he posted Twitter messages considered insulting to the Prophet Muhammad, Malaysian authorities said Friday. 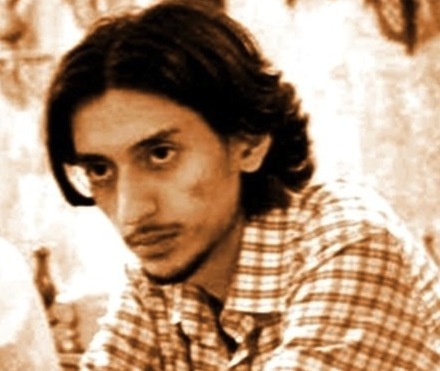 Malaysian police detained the writer, Hamza Kashgari, a 23-year-old columnist for the Jeddah-based Al Bilad newspaper, when he arrived at Kuala Lumpur International Airport on Thursday, Hishammuddin Hussein, the Malaysian Minister of Home Affairs, said in a statement. “The police have contacted their counterpart in Saudi Arabia to determine the next course of action,” Mr. Hussein said. 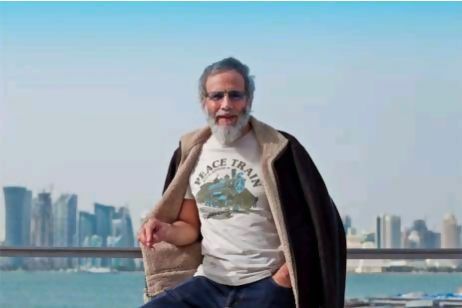 Rights groups have expressed concern about Mr. Kashgari’s safety after religious conservatives in Saudi Arabia called for him to be arrested and executed after he directly addressed the Prophet Muhammad in a series of posts on Twitter. Amnesty International called for Malaysia not to deport Mr. Kashgari, to immediately disclose where he is being held and to grant him access to a lawyer.